The curtain walls are sealed, internally and externally with frame gaskets and factory injection molded vulcanized corner joints to provide high performance solutions for new and refurbished buildings. They are able to handle all loads (including dead load, wind load, seismic load, thermal load, blast load etc.) as well as keep air and water from penetrating the building envelope. The curtain walls are designed to accommodate double glazing options and can withstand calculated design wind pressure for various locations. 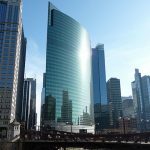 Simplicity and Flexibility - Whether there is one single material or a combination of two or more the entire curtain wall can be constructed using the same framing and glazing or cladding system. Low Cost - The curtain wall stick system offered by TSSC can accommodate any material on the same profile series simplifying the fabrication and installation, therefore lowering the cost. Safety and Reliability - The curtain wall stick system provides a Parametric support for all glazing or cladding material with uniform distribution of wind loads and stresses caused from other factors. 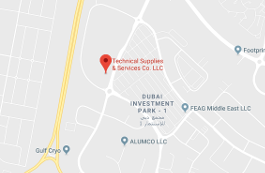 TSSC provides an innovative and unique curtain wall stick system for building facades and represents ALUSTET in the Middle East market. ALUSTET is the highly sought next generation curtain wall system based on a radically new concept, protected by several patents worldwide. 1. 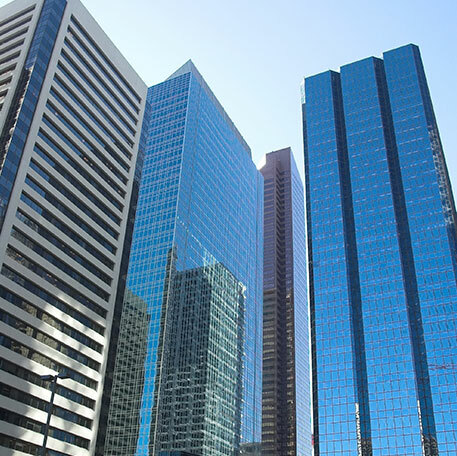 For the construction of a façade with different cladding and glazing materials, the framing of the curtain wall is the same and one aluminum profile is used for mounting the glazing and cladding panels on the framing. 2. The vertical mullions and horizontal transoms are the same for any type of façade regardless the façade complexity and material diversity. 3. Mullions and transoms are connected with “T” shape connection cleats creating rigid cross joints thereby upgrading the structural behavior of the façade. 4. 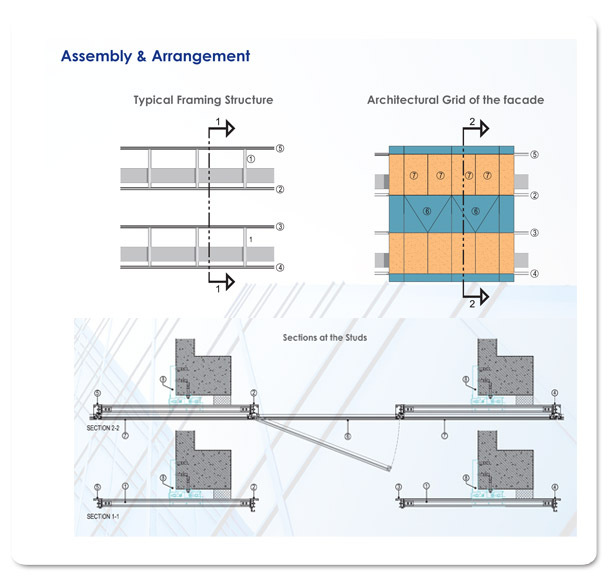 The cross section of the mounting profiles provides a secure Parametric fixing of the panels on the curtain wall framing. 5. Thermal insulation can be achieved by replacing the aluminum sash frame of the vision glass with a PVC channel profile. 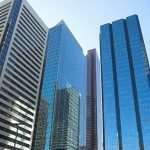 The unitized glass system offering from TSSC is an innovative concept that revolutionizes the construction and structural behavior of building envelopes when installed onto middle and high rise buildings. The units are assembled & glazed in the factory and all components are included within the units. The panels are then packed on metal or timber pallets, transported to site by trailers and hoisted to required floor level by tower crane. 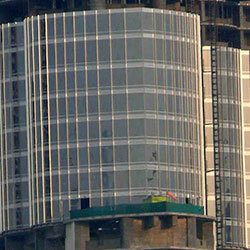 Site installation teams shall install individual panels to designated areas (using a monorail or mobile floor crane). 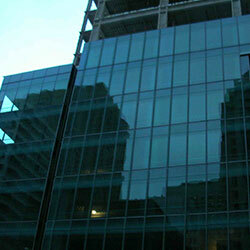 - All vision fixed panels can be converted at any time easily to projected windows. - The installation of the curtain wall panels may be conducted at any location of the building without the need of any sequential procedure. - Each glass unit or cladding panel can be removed without removing adjacent glass units or cladding panels. 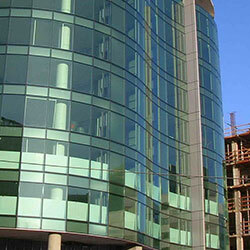 - The installation of the curtain wall panels can take place from the interior of each floor.